The New York City Subway System was one of the most fascinating warrens Clara and I have explored. Fast, convenient, at times utterly offensive. Now we’ve been to Japan, we understand the nomenclature of “local” trains versus others, and have a newfound appreciation for the ease of using it! One part we missed was the brand new 34th St–Hudson Yards station servicing the ❼ train. 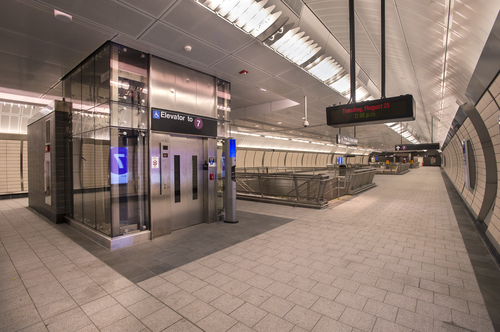 The pictures from the MTA look almost like Epping station in Sydney.